Injectable gold is known to deposit in the dermis for life, and such patients are at risk of developing chrysiasis post-laser exposure. It is unknown if patients with history of edible gold consumption would develop a similar reaction after quality-switched laser exposure. Our aim is to assess if patients with history of edible gold consumption develop chrysiasis after quality-switched laser exposure. This is a proof of concept pilot study conducted between September 2017 and September 2018 at two dermatology clinics in Riyadh, Saudi Arabia. Adult patients who have history of edible gold consumption were recruited to receive a spot test with different quality-switched lasers in a hidden, non-sun-exposed skin site. The test area was photographed before, immediately after, and 10 min after laser exposure. The test area was examined by two independent investigators for the development of chrysiasis. A total of 10 patients (five male and five female) were enrolled. The mean age was 31.7 years. Forty percent of subjects consumed edible gold more than once, and the duration of last intake ranged from 3 weeks to 3 months. Chocolate was the main source of edible gold. 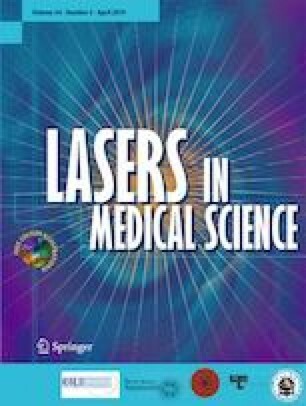 All participants had no chrysiasis reaction post-quality-switched laser exposure. Contrary to our hypothesis, all participants with history of short-term edible gold consumption did not develop chrysiasis after quality-switched laser exposure. Further controlled studies including more patients with longer duration and higher frequency of edible gold consumption are needed. IRB approval status: Reviewed and approved by King Abdullah International Medical Research Center IRB, approval no. RC17-186-R. All procedures performed in studies involving human participants were in accordance with the ethical standards of the institutional and/or national research committee and with the 1964 Helsinki declaration and its later amendments or comparable ethical standards.